Curve Dental recently announced the release of CurveEd, free web-based patient education software available to all dental professionals. 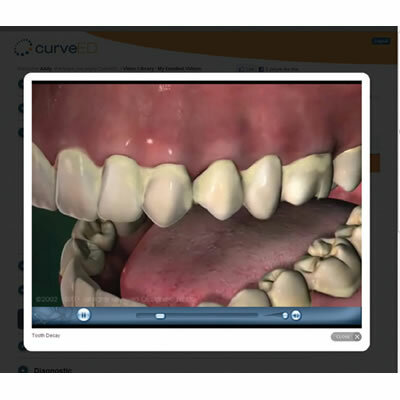 CurveEd provides more than 60 different dental patient education videos in 3D in 11 different categories. Created by a team of dentists, every video is accurate with regard to anatomy and procedure, but is tempered with a light narrative and artistic style. CurveEd allows the dental team to show patient education videos within the practice or send a Web link to their patient via e-mail. When a video link is sent by e-mail, CurveEd tracks what video link was sent to which patient and whether or not the patient opened the e-mail and clicked on the link to the video.